We’re here to help you get the most out of your home technology. From iPhones to Xboxes, Laptops to Wifi. Call now on 086 3804373 or book a session below. Your personal, local, IT adviser is waiting to help! Click a date below to book a session or request a quote! Save your time and money with DeGeekIT TuneUp. Revive your flagging laptop. Get ready for going back to school, college or university. The sheer number of different social networking platforms that emerge each year is difficult for even the most seasoned techie to keep up with. Teenagers catch on to the new ones particularly fast, but aren’t always aware of the unique risks of each service. 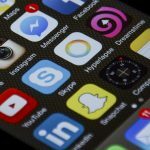 Even if parents don’t use social media themselves, it’s wise to know what is out there so you can have open conversations with your children about them. We can talk you through everything from the “old” big networks such as Facebook, Twitter and LinkedIn, right up to the present day favourites like Snapchat, Instagram, Pinterest, Periscope, Vine, YouNow, YikYak and more. Getting a good broadband connection can be a challenge. Choosing the best provider can be confusing in itself. 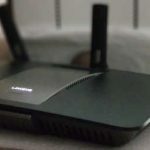 Propagating that internet connection around your house with a good WiFi configuration adds another level of complexity. If you need help to get the most out of your WiFi or Broadband Internet connection, ask if DeGeekIT can help! Don’t struggle with user guides and complicated setup routines. 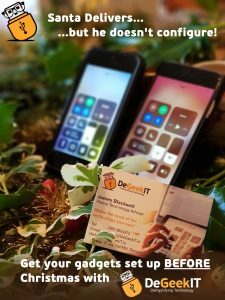 Ask DeGeekIT to help guide you through the setup of a new or handed down computer, smart phone or games console. Over time, computers get cluttered and slower. We can advise you on what can be done to keep your machine in tip top condition and what can be done when its past its best before date. We can also help with security issues such as virus infections. If you do suspect that your machine is infected, please don’t wait to call. It can be crucial to act quickly to prevent loss of data. Leave the machine on and, if possible, disconnect it from the internet, then call us. We’ll do everything possible to get you out of trouble quickly. In the not so distant past, we all took a small amount of photos, getting them processed every now and again and had them stored somewhere in our house. Today, almost everybody has got an amazing camera in their pocket on their smartphone and as a result, we take endless photos of our families and friends. The down side is that before long, we’ve got “memory full” messages on our phone, and nowhere to put the photos. Worse still, if our phones get lost or broken, we can lose so many important memories. We can walk you through getting photos off your phone, backed up or printed out, so you never lose them again. 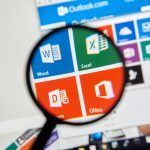 Are you struggling to use Microsoft Office? Whether you are a running a small business, have entered further education as an adult, or have started a new job… this might be for you. Get personalised “Grinds for Grown Ups” on Microsoft Word, Excel, PowerPoint or Outlook. Patient, focused tutorials in your own home, teaching you only what you want to learn, at your on pace! In Ireland perhaps more so than any country, our families and friends tend to spread out around the world. International phone calls cost a fortune, yet these days its likely that we can all communicate face to face for free. Parents with young adult children, Grandparents with their emigrated grandchildren, and just old school friends that have taken flight to the other side of the world. We can help you pick the best free communication method to keep in touch reliably using tools like FaceTime, Skype, Facebook Messenger, Google hangouts and Google Duo and many more. Sometimes your email box become impossible to manage. Your important contacts are on your phone, but what if you lose it? You can’t see the wood for the trees. Thousands of “unread” messages prevent you from seeing what you need to see. We can advise you on how to get on top of your email so you can focus on what’s important to you. 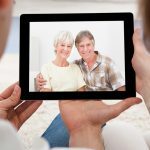 What are the benefits of Home Technology Education? These days we all walk around with a computer in our pocket that’s many times more powerful than those that ran the space shuttle. It enables us to keep in touch with our friends and family, capture important life moments, and keeps us organised. 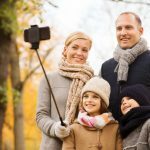 Unfortunately, to many people it’s often overwhelming and we find ourselves in a situation where we use only the basic functions of the gadget, our kids seem to know more about it than we do (albeit often not understanding the risks), and we find ourselves cursing the complexity of it all. DeGeekIT’s Home Technology Help aims to help you learn how to get the most out of your tech. We’re not looking just to “fix it” for you, but to help you understand what’s going on so that you can feel comfortable using it. Whether it be making sure that your contacts and photos are backed up, or just making sure that you understand what your teenager is using, we aim to make sure that you don’t feel lost. Here what our customers have said about DeGeekIT! “James has been solving our computer problems since I met him a couple of years ago. Through his help and teaching we are almost self sufficient." “James, Thanks so much for all your help over the last year. It made everything so much easier and simpler. Will definitely be in touch if more problems happen in the future. Would definitely recommend your business and will spread the word. Good luck for your future business." 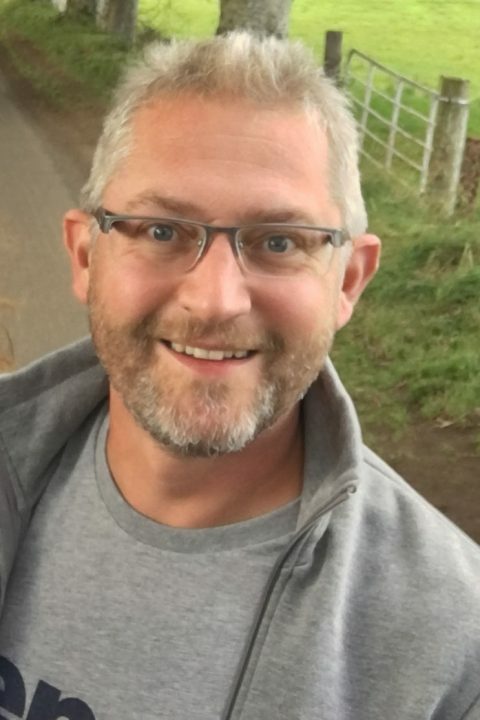 “James has helped me with setting up group meetings with very clear instructions in a simple step by step manner and repeating the instructions wherever necessary. His levels of patience and good nature were endless. I am confident to attempt it myself now but feel very secure that I have James as a back up if I need him." James at DeGeekIT is one of the most knowledgeable and patient people I know. You'll be in great hands with all things from learning the how-tos to fixing complex problems. Ready to get the most out of your technology? Welcome to DeGeekIT. We’re a home operated business, generally available between 10:00 am and 8:30 pm, you’re welcome to pop round, just give me a bit of notice before hand. I’ll try to fit around your schedule. I am located in Ratoath and whenever possible will be here 7 days a week to help you work through any technical challenges. I can also visit you in your home if you book an appointment using the booking tool (the calendar) above. If you’re not comfortable filling out the online booking, you can always call me on 086 3804373. I launched DeGeekIT after 20 years of helping individuals and companies around the world to get the most out of their technology. Starting back in 1996 in a Technical Support role, I realised that helping people, not just to fix problems, but understand how to best use their technology, was more than just a job or a hobby… It was a passion. In 2011, I had to leave my role as a Director of Support in a multinational Internet Security company because my 5 year old son had developed Narcolepsy. Since then I’ve been a stay at home dad and carer, doing part time Web Analytics consulting when time allowed. It was during this past 5 years, that I realised just how many people owned smart phones, laptops, tablets, smart TVs and other devices, but weren’t comfortable with many of the features. Fabulous family photos remained stuck on their phones until the dreaded “memory full” messages showed up. 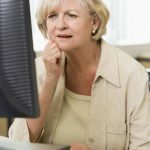 Computers were virus riddled and unnecessarily slow, email problems caused stress and small business owners struggled with spreadsheets and word processors. Arguably worse than that, parents and grandparents couldn’t keep up with the technology that their children and teenagers were using. Those young people were so comfortable with the latest communication technology, but weren’t always aware of the risks. 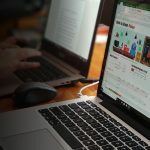 These challenges seemed almost universal, and so I launched DeGeekIT (dee – geek – it), not to fix computers like any old techie shop, but to educate technology owners so that they feel comfortable with what they own and can make the most use of it. We run DeGeekIT from our home in Ratoath. If you prefer to visit me, please give me a call on 086 380 4373, or book an appointment. Typically I’ll be available between 10am and 8:30pm.